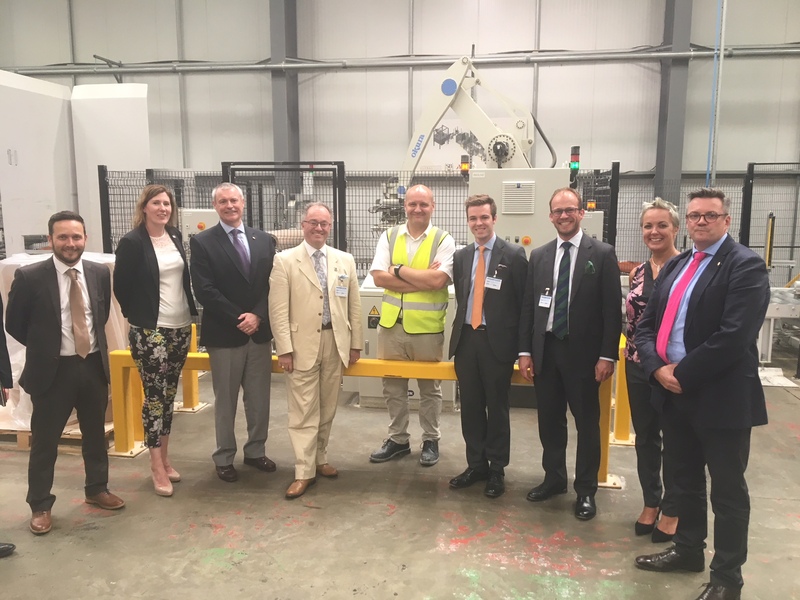 MEP for the East Midlands, Rupert Matthews, spent a day in South Kesteven last week (19 July) to meet local businesses, hear about their growth plans and find out what challenges and opportunities Brexit might pose for them. The day, which was organised by InvestSK on behalf of South Kesteven District Council, included visits to three local companies and a European information lunch hosted by Mr Matthews with a focus group formed of companies from across the district. In addition to in-depth tours of the facilities at Viking Signs, Alltech and Park Air Systems, each of the business visits provided an overview of their products and markets and covered various matters such as the significance of good digital connectivity and transport networks in South Kesteven. One common thread related to the area’s labour market with businesses citing strong digital skills as their key requirement in a future workforce to support delivery of their diversification or growth plans. The day was attended by leading members of South Kesteven District Council – Cllr Matthew Lee, the Leader of the Council, Cllr Kelham Cooke, the Deputy Leader of the Council and Cllr Helen Goral, Cabinet Member for Growth and Communications. InvestSK Limited is a company set up by South Kesteven District Council and charged with leading an ambitious economic growth agenda for the district. InvestSK focuses on supporting local businesses to grow, delivering new inward investment projects, boosting the arts, heritage and visitor economy offers, and enhancing the skills of South Kesteven’s future workforce.